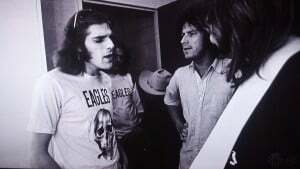 There’s no question that the Eagles were one of the most influential bands of the ’70s — their greatest hits album sold more copies than any other record in the 20th Century. But until watching the recent two-part documentary on Showtime, I had no idea that the band was also among the pioneers in jersey-wearing rockers. 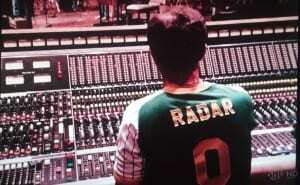 It’s a common sight these days to see musicians dressing like the rest of us — that is, in an authentic jersey of a local pro team, or perhaps a customized shirt in team colors. 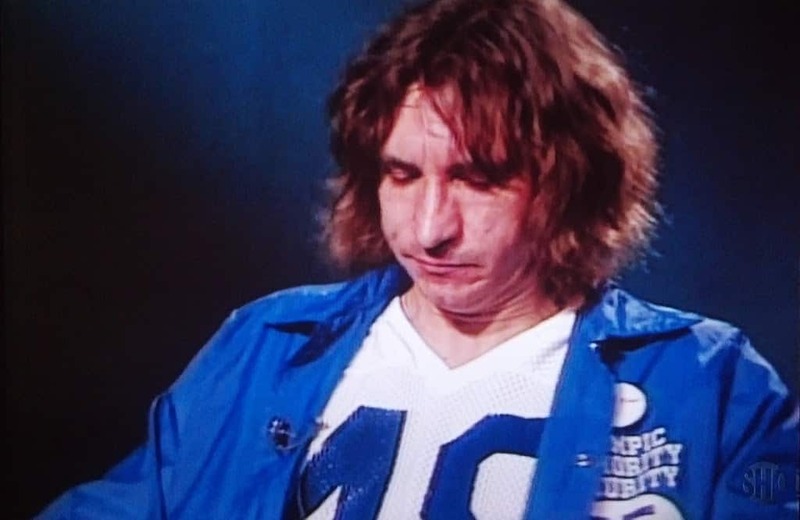 Someone probably has a Tumblr of musicians in jerseys. Anyway, in the ’70s, I imagine it wasn’t such a common sight. 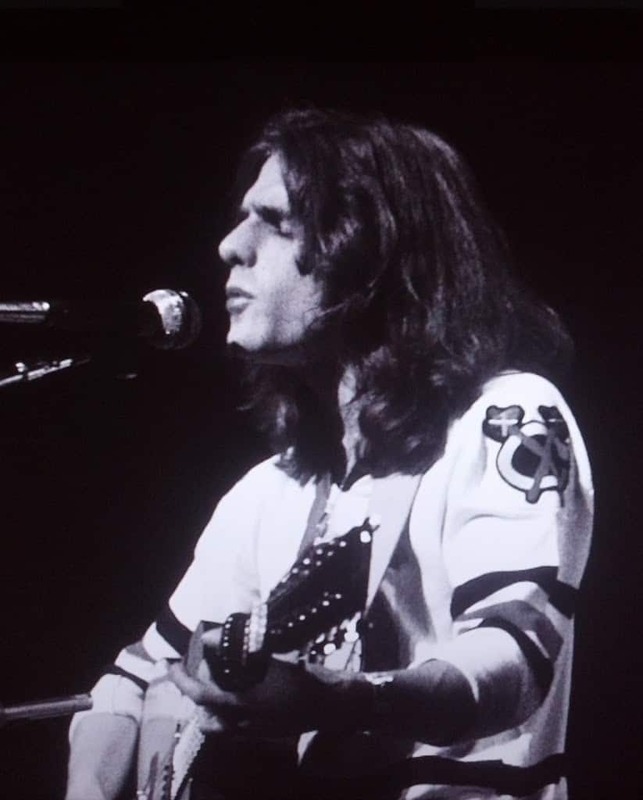 But in watching the documentary, I caught several instances of Don Henley, Glenn Frey, Joe Walsh, Don Felder and one or two others in a jersey or T-shirt that looked enough like a jersey to make this post worth my while. 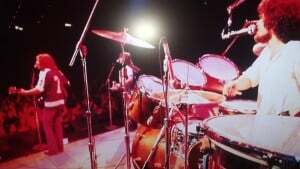 All these photos were taken from my TV with the documentary paused, so the quality of some is rather poor. In some cases, the details in the shirt were much more apparent in motion than in any frames on which I paused. So if something’s not clear in an image, just take my word for it. 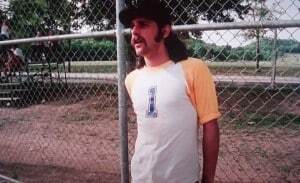 So at the top, we have Glenn Frey in a three-quarter-sleeved baseball shirt during one of the band’s pickup softball games. 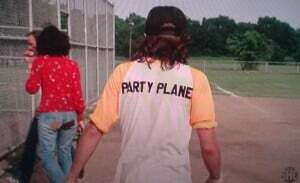 “This is a real healthy thing,” Henley says in the film. “It promotes good feelings, you know, among the guys, and it keeps us from killing each other.” Frey adds: “If we can yell at each other on a baseball field, then we don’t have to yell at each other when we’re working.” Putting the numbers on the front left room on the back for what appears to be a nickname for the band’s private plane. 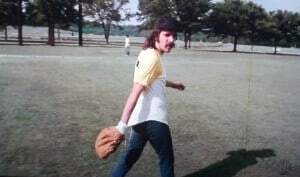 Also of note: Frey throws left-handed, but plays guitar right-handed. We’ll come back to Frey in a bit. 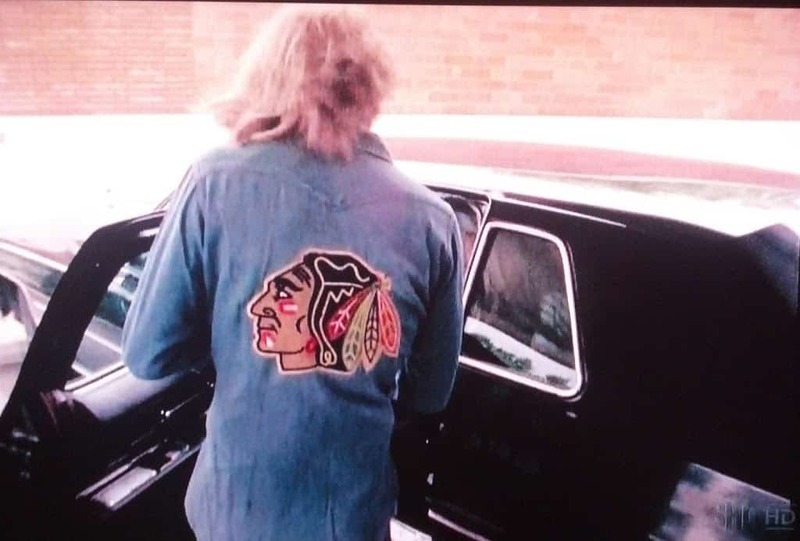 Next, we have the jersey that really piqued my interest and had me start taking pictures of all these images while watching the documentary. 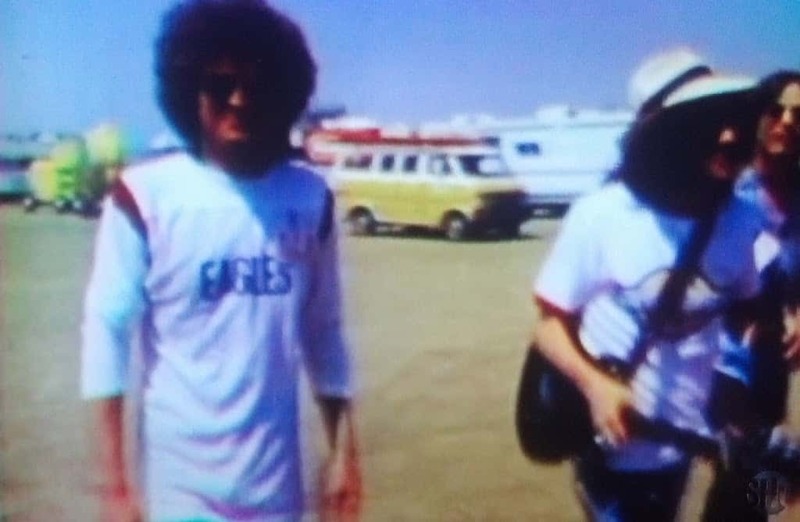 From the front, it just appears to be Don Henley in a mighty afro and a rather long shirt with the band’s name across the front. 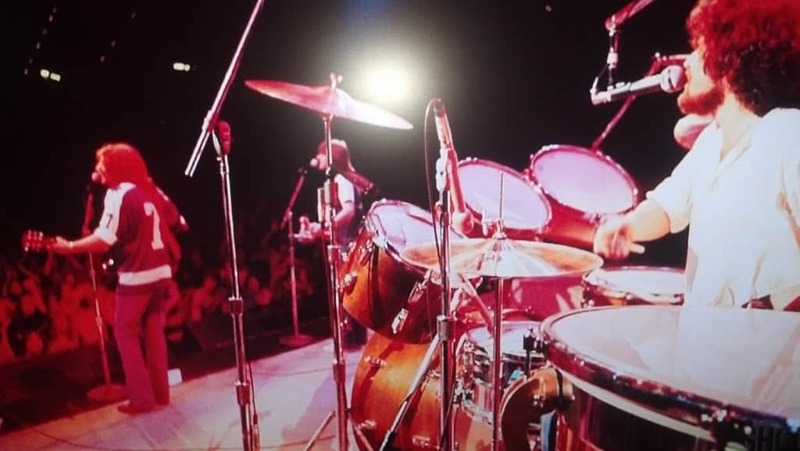 But after he passes the cameraman, who turns to follow the band toward the stage at an outdoor festival, we see that Henley’s shirt — more of a jersey than a, ahem, henley — features his surname and a No. 13 on the back. 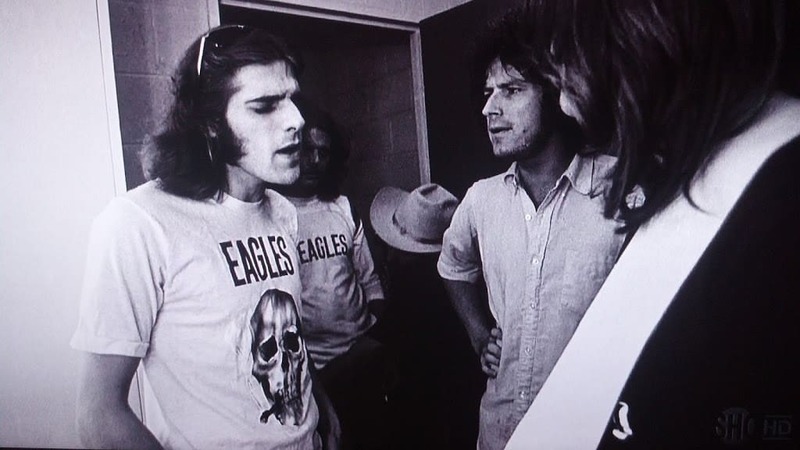 So not only did the band have numbered shirts for softball games, it appears that they also each had their own football shirts, because in this next image, someone else is wearing what appears to be the Eagles football (or football-like) jersey (that’s Henley, second from right, so it’s not him). 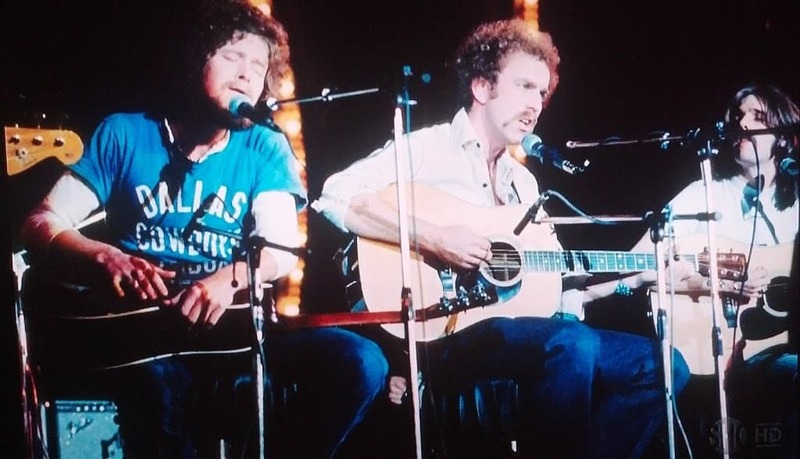 Sticking with Henley, here he is representing northeast Texas — he’s from Linden — with a Dallas Cowboys T-shirt. 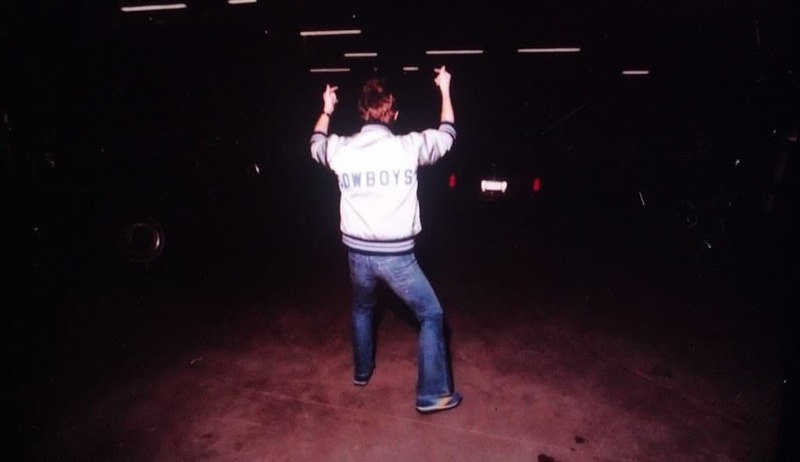 Sticking with the Cowboys, next we have one of the band members in what looks to be a satin Cowboys jacket in 1980. 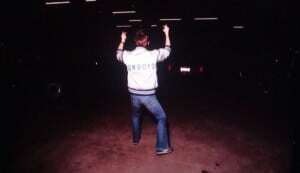 He’s gesturing at a departing limo into which Don Felder fled following the infamous July 31, 1980, Long Beach concert that marked the breakup of the band. 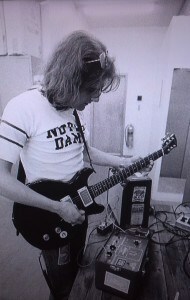 Speaking of Felder, he joined in the sartorial sporting fun at least twice. 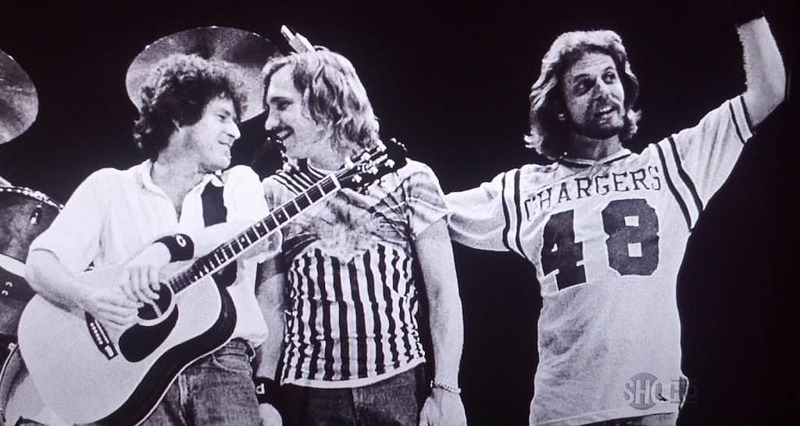 First up is what appears to be a San Diego Chargers jersey-like shirt. 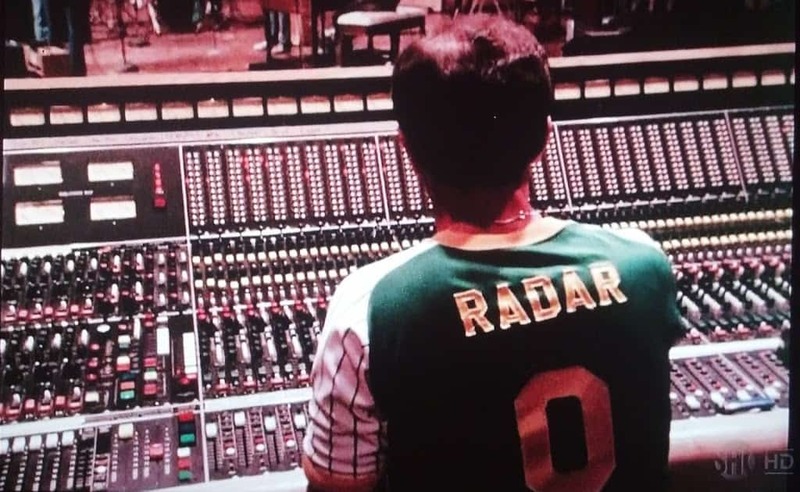 Speaking of unsure I.D.s, here’s a sound engineer in a shirt with the nickname (I presume) “Radar” and a zero on the back. Now to the last big-name band member: Joe Walsh. 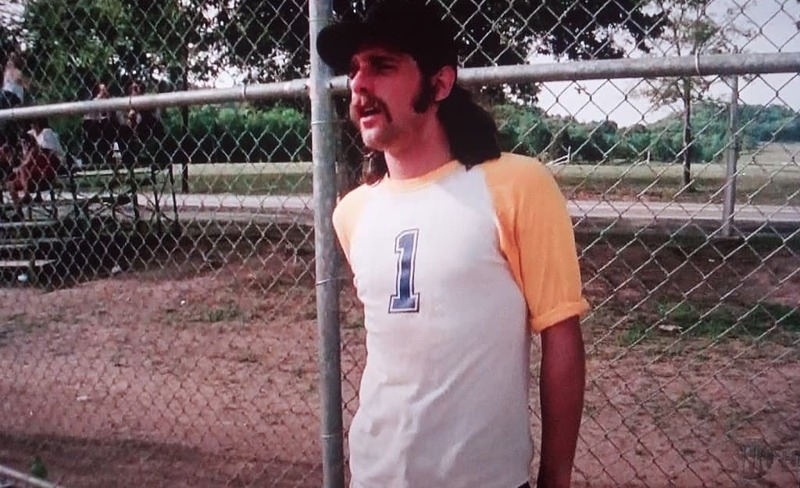 He didn’t appear in any jersey-like shirts until late in the documentary, but then he popped up three times. 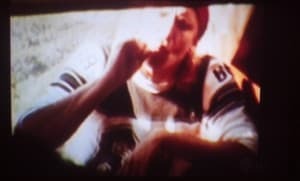 First was this grainy shot of him smoking weed in what looks like a football jersey. 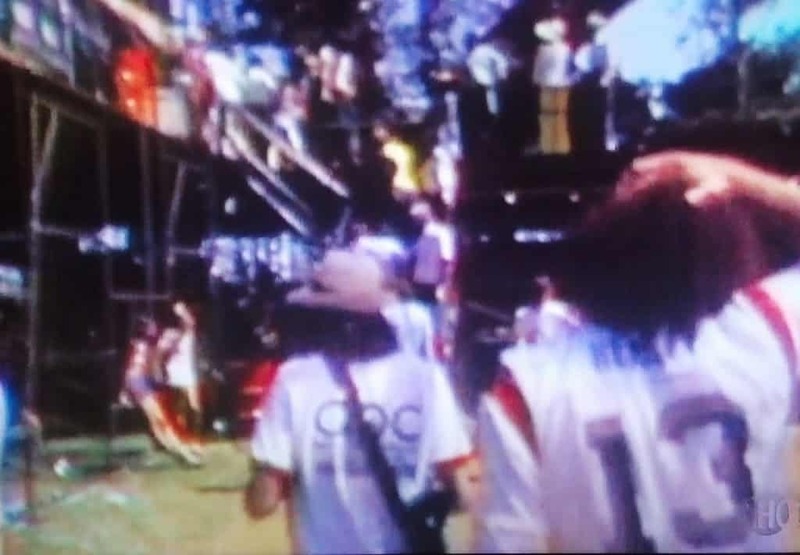 And below, we’ve got the band at the end of a show, possibly in 1977 in Washington, D.C. (based on footage earlier in the program). 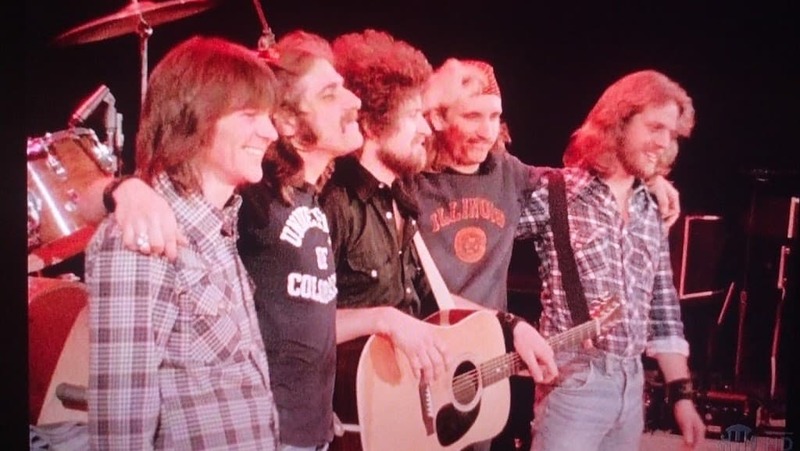 Walsh is second from right in an Illinois sweatshirt; Frey is second from left in a University of Colorado T-shirt. 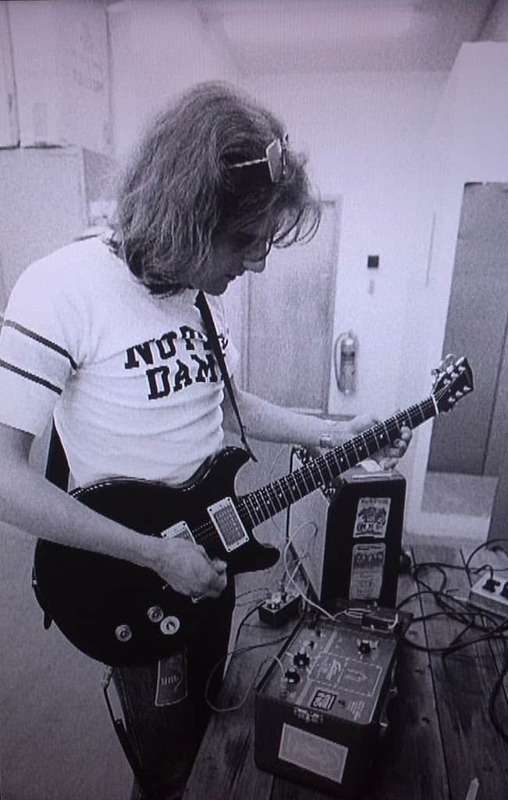 Then we have a black-and-white photo of Glenn in a Chicago Blackhawks jersey. 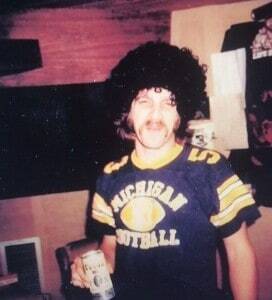 Next up, the Detroit boy dons a wig and a Michigan football jersey shirt with No. 53 on the shoulders. 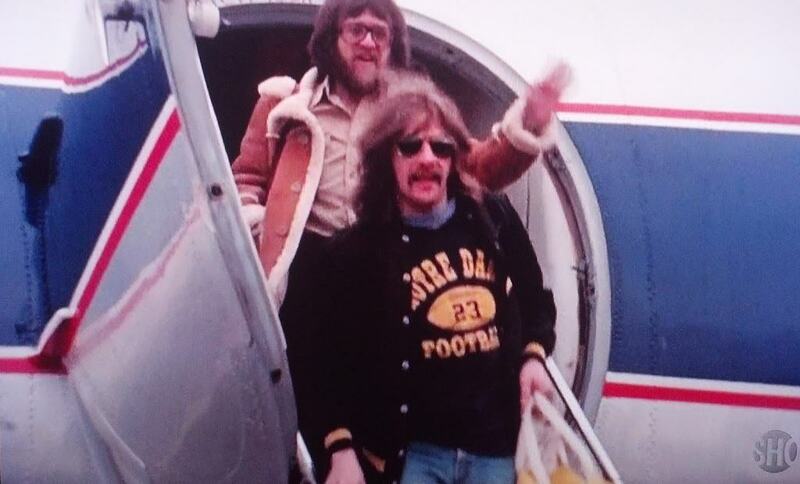 But this Michigan man has some good taste, because it turns out he owned two Notre Dame shirts, the first of which is similar to the Michigan one above. 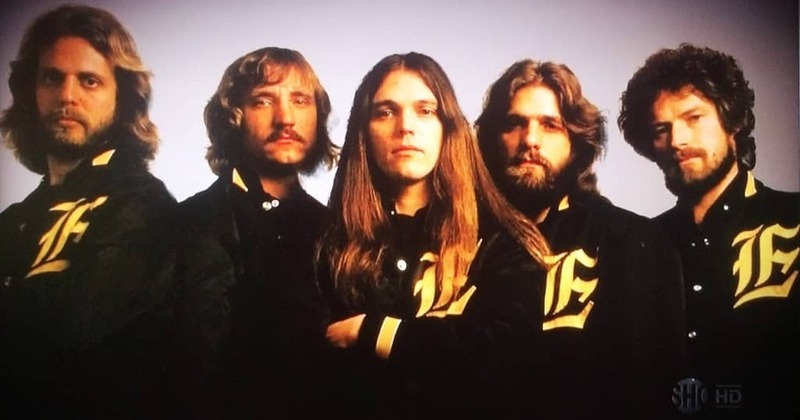 And, to wrap it all up, we have the full band in custom Eagles varsity jackets, which were worn — mostly by Frey, occasionally by others, including (I think) the manager — in footage throughout the film. The simple old-English E is the only adornment on the jackets. The backs, as best I could tell, were blank. Left to right are Don Felder, Joe Walsh, Timothy B. Schmit, Glenn Frey and Don Henley. I figured a post about a rock band should end with a video, so here’s the group in the video that opens the documentary — with Frey in the Colorado T and Walsh in the Illinois sweatshirt. First, they perform a verse of an a cappella “Seven Bridges Road” before going on stage to play “Hotel California.” The post says 1979, but the Showtime doc said it’s a 1977 Washington, D.C. show. The “unidentified football jersey” with number 7 you refer to in the one photo actually looks like it is a Toronto Maple Leafs #7 jersey which, at the time, would have been Lanny McDonald. Dang, beat me to it. 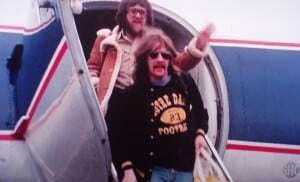 I was going to say it clearly is a Leafs sweater, but I was thinking it was Tim Horton that wore it before Lanny did. Horton was #7 before Lanny but he never wore that style Leafs jersey.